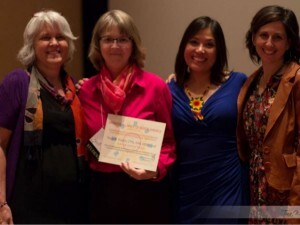 MSM Alumni: Paula Hostler, CPM, MSM, being awarded the Harris-Braun Outstanding Poster Award at the 2015 Midwives Alliance of North America (MANA) conference, in recognition of her graduate thesis work at MCU on shared cultural and religious birthing practices among Old Order Mennonite birthing families. A graduate degree will help you to acquire research fluency skills, allowing you to further expand evidence-based care in your midwifery practice and in your community. With a graduate degree, you will have opportunities to become involved in research projects and studies, contributing to the advancement of the midwifery profession. During your graduate career at MCU, you will learn about the publishing process and enhance your presentation skills. With a graduate degree, you can explore options to teach in higher-education institutions, midwifery programs, community-based agencies, and continuing education programs. You will also have increased skills, confidence, and knowledge to advance midwifery education, curricula development, and pedagogy on local, state, and national landscapes. During the graduate program, you will enhance your skills and have opportunities in policymaking, advocacy, and programmatic design. You will be connected with leading entities and network with individuals in the Allied Midwifery Organizations. Some states are beginning to require a graduate degree in midwifery (or equivalent) to become state licensed or registered. Please examine your state’s specific licensing regulations to see if a graduate degree is needed or encouraged in your locale. An increasing number of allied health professionals are receiving graduate degrees in their fields. Graduate-level education can be a sign of professional identity and maturity, and may help to strengthen inter-professional collaboration between provider types. Engage in the LIFELONG LEARNING process! Knowledge acquisition never ends, and a graduate degree can help you further your quest for knowledge. PERSONAL achievements & PROFESSIONAL benefits! Our alumni speak of both the personal nurturance and professional guidance they received during their graduate program at MCU. The sense of accomplishment, both personally and professionally, is huge for our graduates! 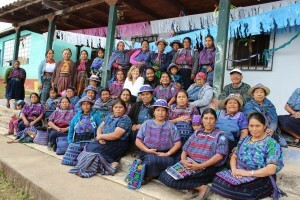 Make a difference – contribute to SOCIAL CHANGE! To learn more about the benefits of a Master of Science in Midwifery (MSM) degree and to explore whether graduate-level training is right for you, please contact Megan Koontz, MCU Academic Dean, at academicdean@midwifery.edu or 1‐866‐680‐2756, ext. 812. We will put you in contact with our graduate faculty, graduate students, and alumni so you can further dialogue about the prospect of receiving a graduate degree in midwifery!